Every Mystery Unexplained was published in David Copperfield’s Tales of the Impossible (HarperPrism), a gorgeous hardcover anthology including stories by fantasy masters Ray Bradbury, Joyce Carol Oates, and F. Paul Wilson. 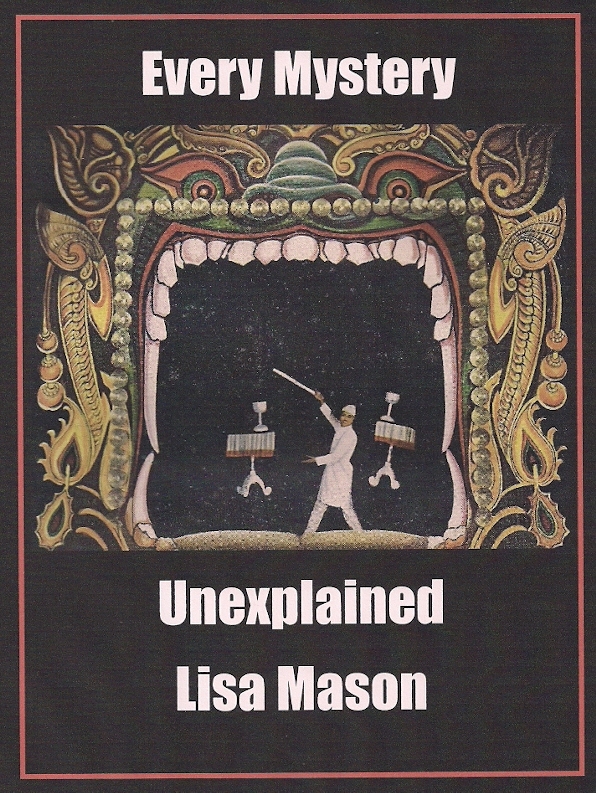 Every Mystery Unexplained is also on Amazon.com in Australia, France, Germany, Italy, Spain, Brazil, Japan, India, Mexico, and Netherlands. New Review! “Magician ‘Professor’ Flint ends each performance by endeavoring to contact the Spirits of the Dead. An illusion only, of course. Surely, the audience knows that the white handkerchief dancing around the stage is the work of Flint’s assistants, not spirits. His sword fight with an apparition is only a matter of a well-placed pane of glass and proper lighting. No one can really contact the dead. Unfortunately, when lovely Zena Troubetzskoy offers the down-on-their-luck magic act a fat payment for a séance, Flint and his son, Daniel, can’t say no. But there is more to Zena and the man she wishes to contact, the man she left in the mountains, than meets the eye.